Ideal Use Case: The DTR650 is best suited for organizations that need excellent in-building coverage, such as K-12 schools, hotels, retail, property management, construction and light manufacturing. Nova Communications offers 2 way radio solutions to a wide variety of businesses, both big and small. Contact us today to see how we can help you stay more connected. 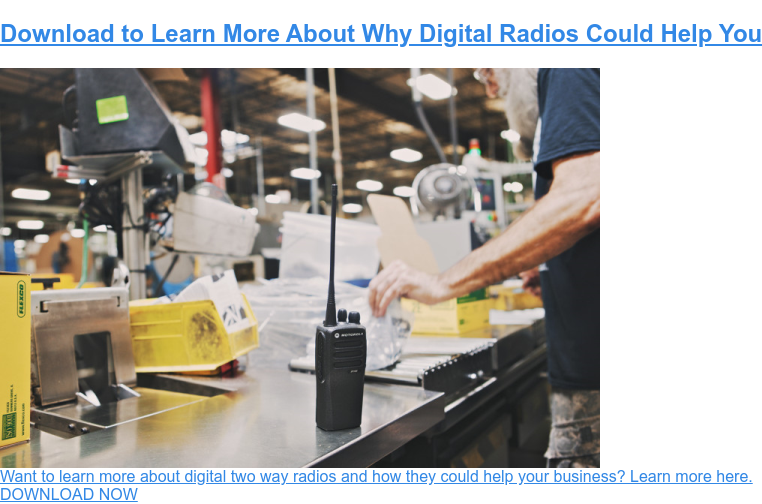 Or, download our FREE Portable Two Way Radio Selection Guide for more information on determining which 2 way radio is right for your business.